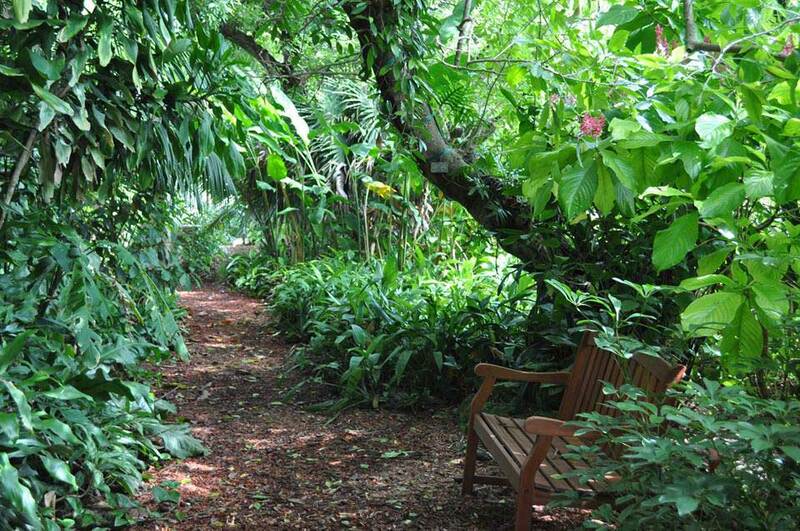 Even on the hottest of Florida summer days any tropical shade garden can be 10 degrees cooler than the adjacent sunny areas. Lush foliage and ferns provide a feeling of a tropical forest with orchids, bromeliads and other tropical surprises that creates a landscape carrying the eye upward with accents of color from the ground to the trees above. Take careful note of the great variation in size, color and texture of the foliage.